Big Bads have always had us booing, and this week they inspired some fine posts about their motivation, meaning and memorable qualities. Today’s roundup covers some of the best of the worst. Bloggers: If you’ve posted your entry too late for tonight’s recap, don’t worry! We’ll include you in tomorrow’s midday wrap-up post, here at Speakeasy. Find all the recaps collected at the main blogathon page. …but first enjoy today’s entries! 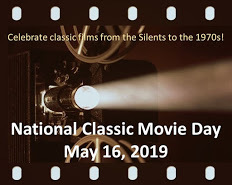 Next The Great Villain Blogathon — Wrap-up & Thanks! Hey Tiffany, just send me the link to your post when it’s ready and I’ll make sure Speakeasy includes it in the recap post tomorrow. We’ll tweet it for you, no problem. Thank you very much. I will send it to you. Hey Ruth. Are you hosting the Great Villain Blogathon again this year? I’ve had fun with it in previous years. Cool. It’s a really fun blogathon. By the way Ruth, I’m hosting more blogathons if your interested in participating. Here are the links.